The Before Tour (Part 1)!! Oh, the PLANS!!!! Every room…Plans. I have so many plans and ideas in my head right now. Just swirling around in there. Just marinating. Blossoming. Reconfiguring. It’s.so.dang.FUN!!!! 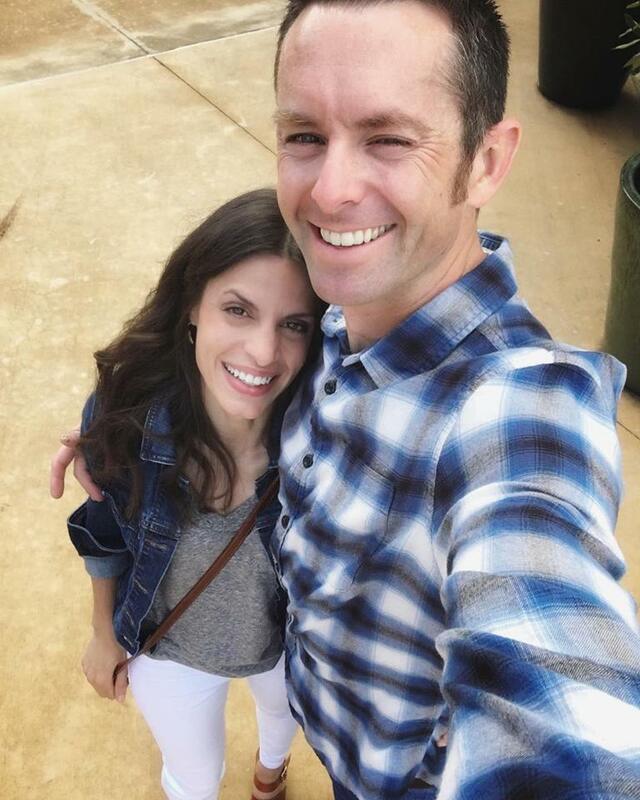 We finally got possession of the new house Wednesday, and are now in the process of getting a few things done before we move in (more on that in another post). In the meantime, I thought I’d begin our tour of “before” pics of our new pad. I’m gonna break down the tour into smaller segments because… Well… I have a lot to say (feel free to feign surprise). 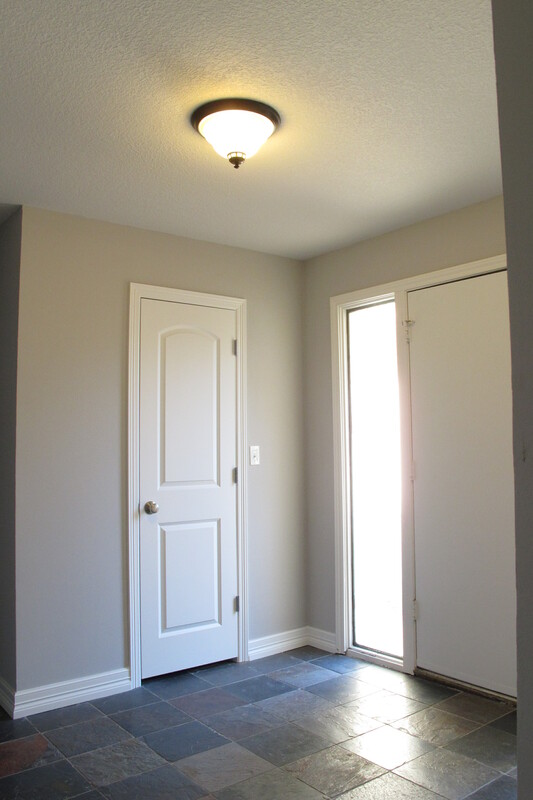 When you walk in, you’re faced with a small foyer area. 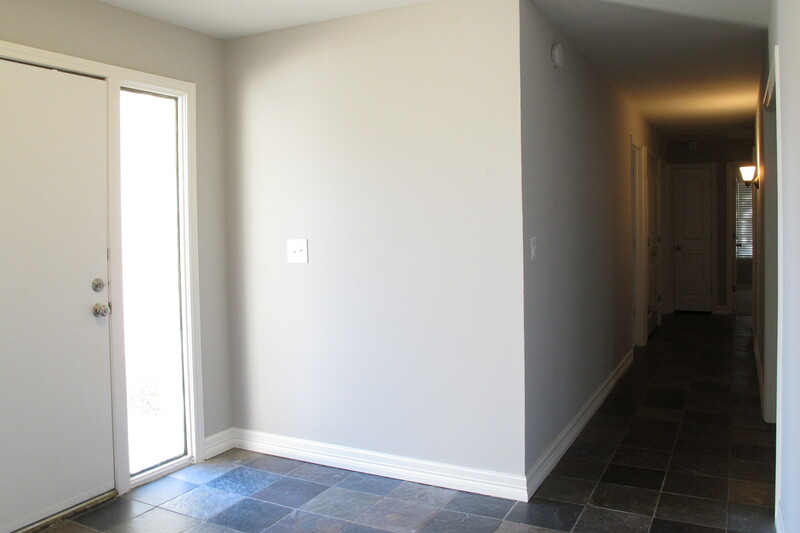 To the left are both the hallway to the bedrooms and entrance to the living room…. 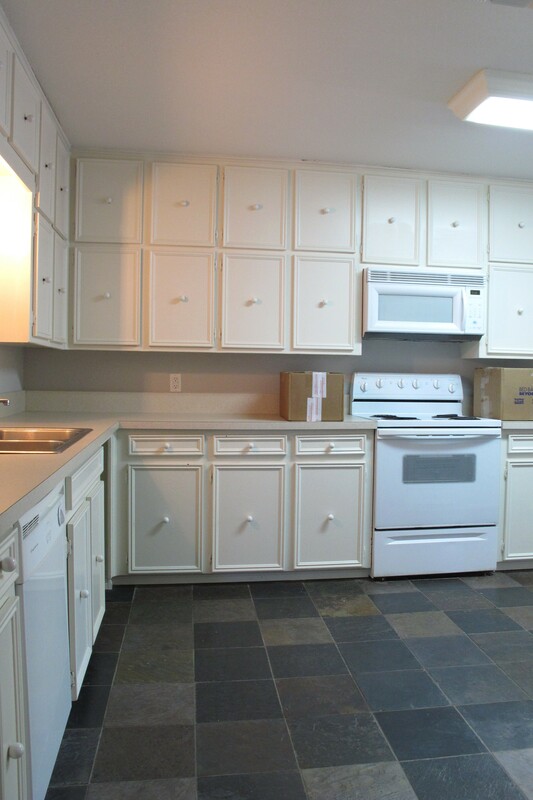 This kitchen features original cabinetry, chipped laminate countertops, a dented sink and mismatched appliances. It’s not nearly as offensive as it could be, though. 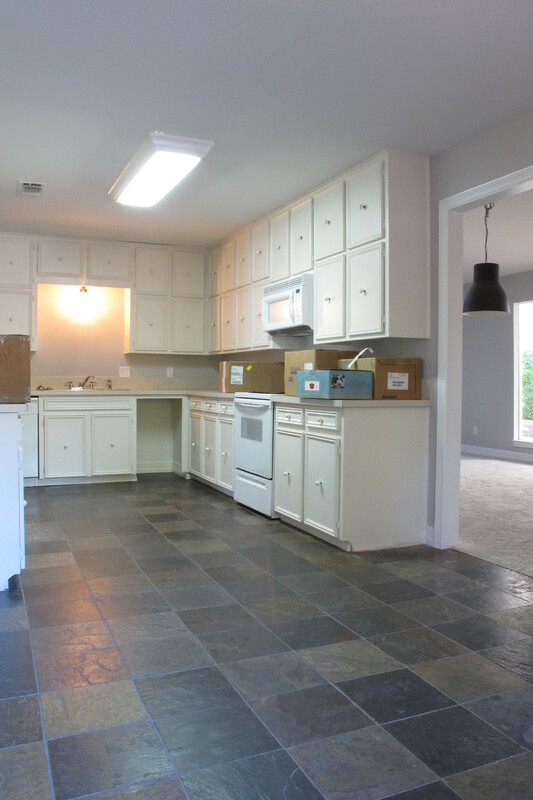 Seriously, some of the kitchens we saw when we were house-hunting were epic. This kitchen is livable and is actually starting to grow on me a bit. It just needs a little face-lift. We definitely have a good deal of storage space in the cabinetry. Though, for some reason, whenever I walk in I get the distinct feeling that I’m being watched…. 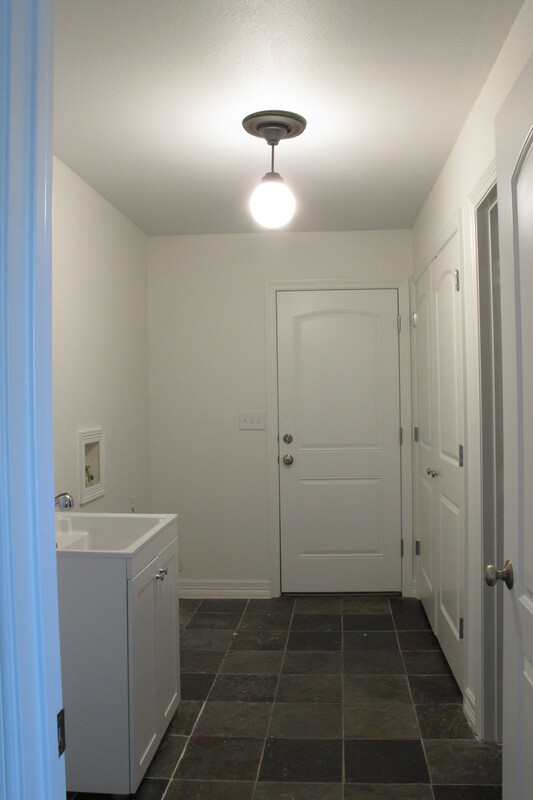 The French doors lead out to the pool, and the closed doorway to the left leads to the laundry room and half bath. We’ve already tossed the idea around of opening the wall that separates the kitchen from the larger dining space (that huge bank of upper-nose-cabinets shown two pics above) and then using this eat-in area of the kitchen to house more cabinetry to make up for the loss of upper cabinets. We’ll see though. Much can change between now and then. 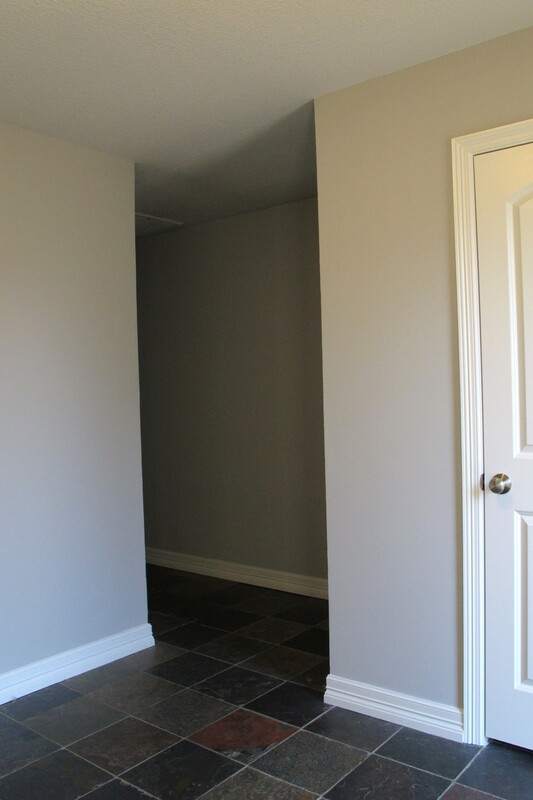 If you go through the door to the laundry room, you see this…. You have to use the sink in the laundry room to wash your hands, I guess. We think they put this in to be convenient to the pool, which is pretty genius in that sense. It was just kind of weird seeing it for the first time during our showing. It was like… Oh, hey, a random toilet… (Pause) Mmm’kay, cool. 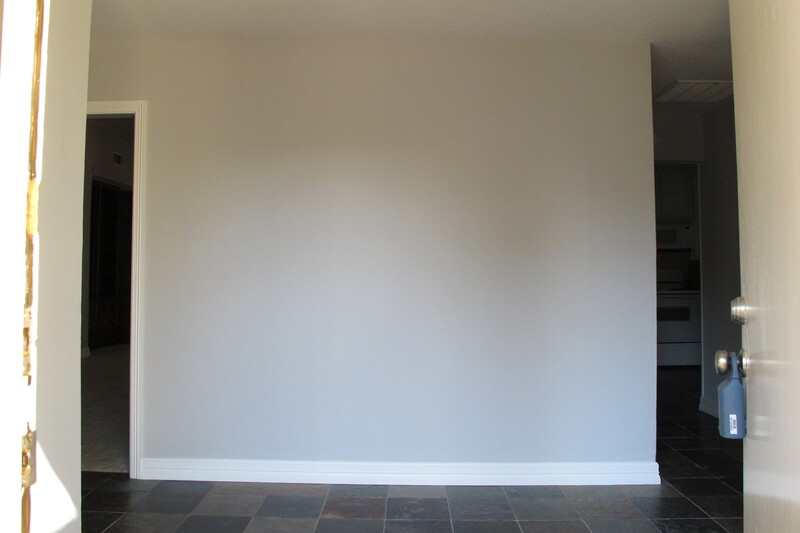 Now, coming back into the kitchen and facing the opposite direction, you see this view of the kitchen…. 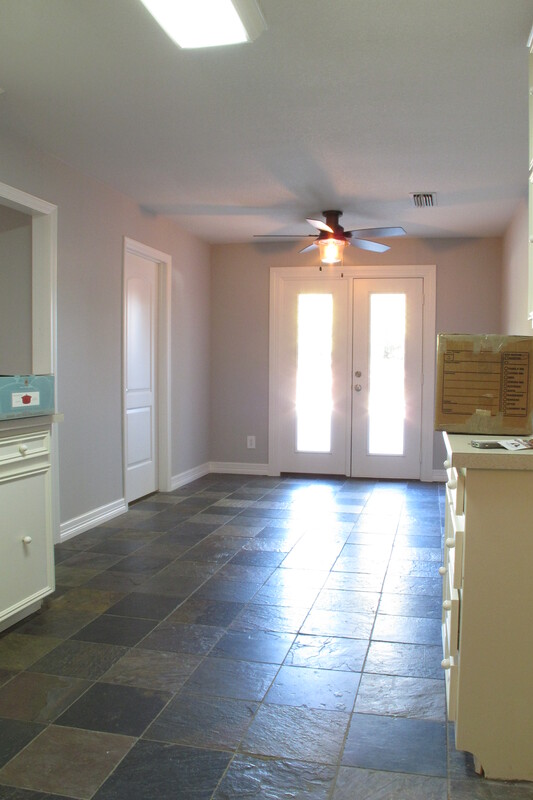 That open doorway to the right leads to the dining space…. 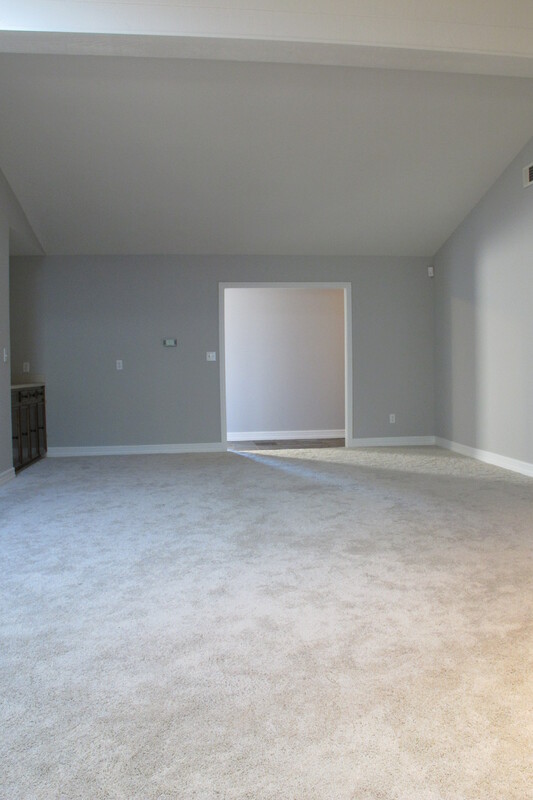 The dining area is open to the living space…..
Now, I’m standing where the sliders are in that last pic and looking into the living room…. It’s darker in this part of the room since there’s no overhead lighting or skylights. We plan to add some recessed lighting to the vaulted ceilings and possibly a solar tube to brighten up the space with more natural light. 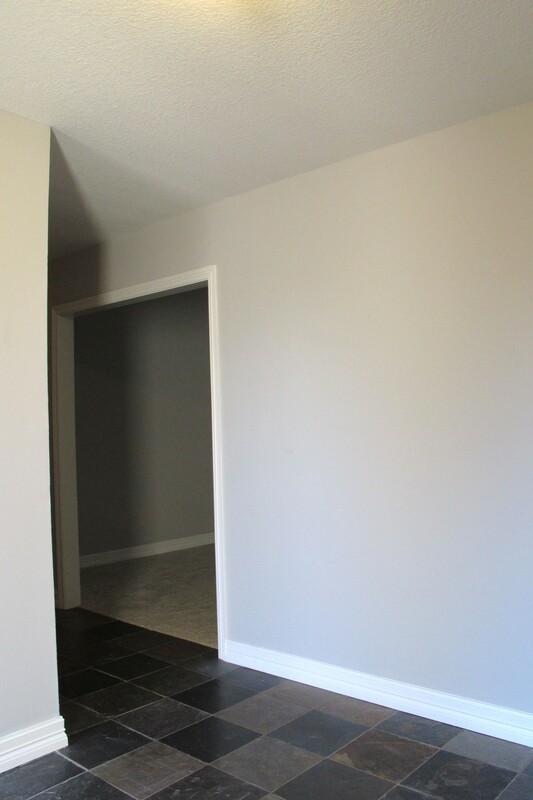 That open doorway back there leads back out to the foyer and hallway. 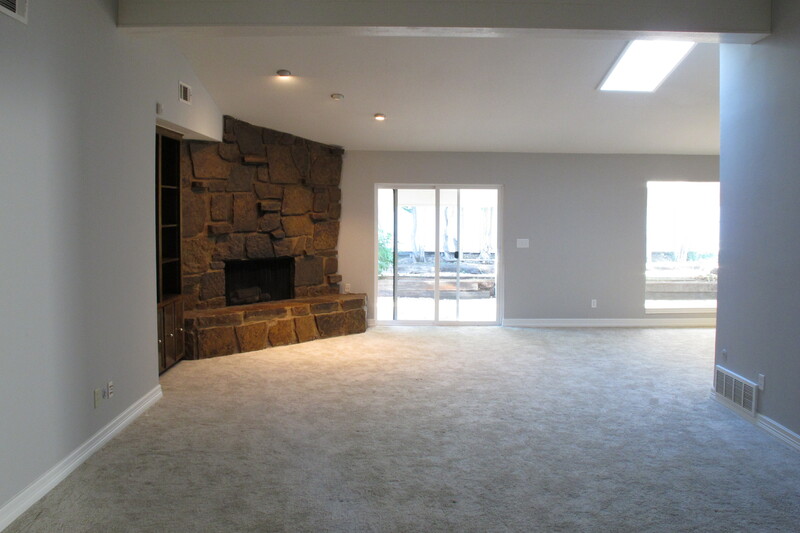 This one next to the fireplace will likely be painted white to allow the fireplace to shine. The two compete visually right now since they’re such similar colors. 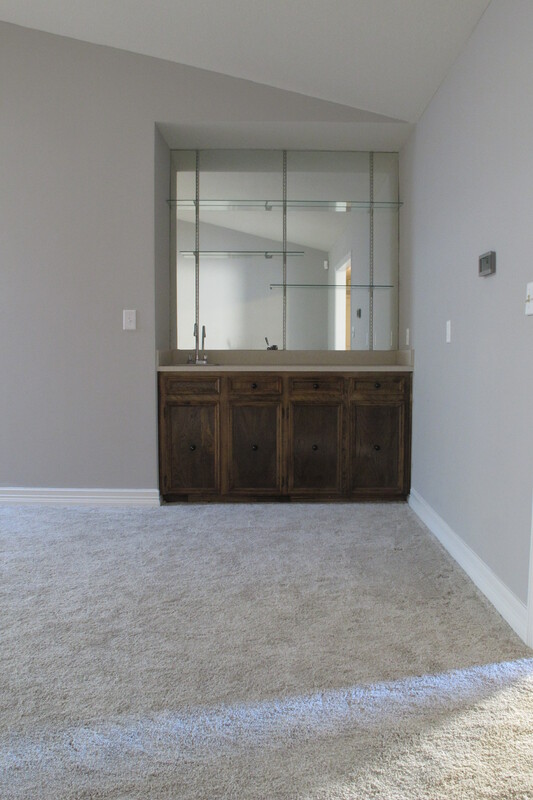 Then, we have the wet bar…. Joey thinks this is the coolest thing ever. I personally don’t get it. I mean, why a sink??? Wouldn’t an ice-maker make more sense?? Or better yet… a wine fridge??? Just sayin’. I guess I’m more of a dry-bar person. No sense in wasting perfectly good plumbing. In any case, at this point, the sink stays and this little area will look completely different when I’m done with it. I’m thinking: remove mirrors, add a pendant light, paint cabinets white, remove side/backsplashes, apply a concrete overlay treatment to the countertop, add some art. Oh. Yeah. Come to mama. 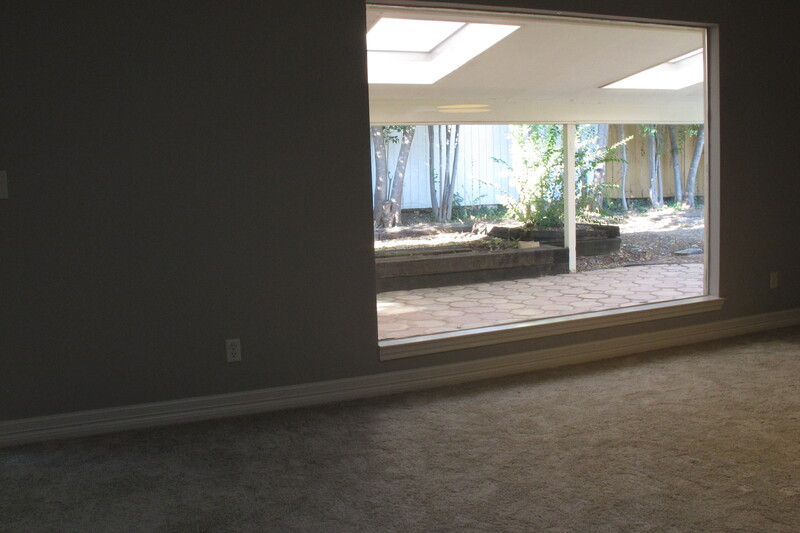 Here’s the view of the living room when you walk in from the foyer…. I just love it. That fireplace!!! 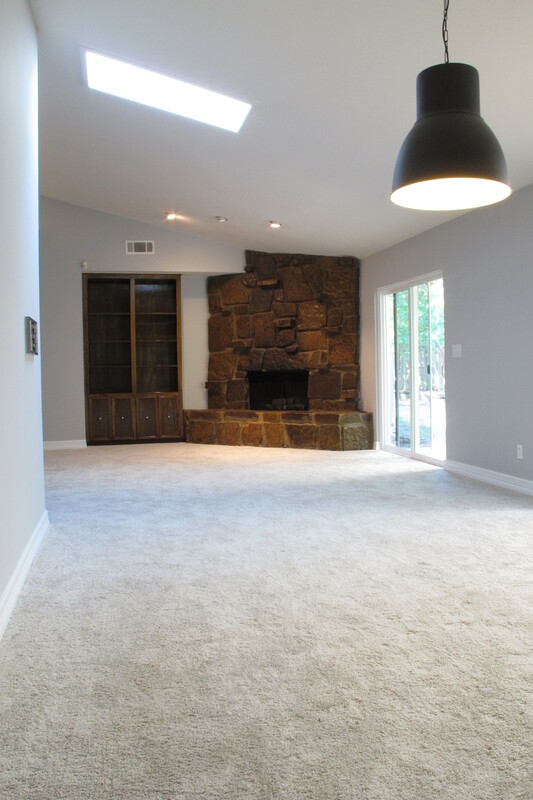 You had me at that fireplace. The fireplace will remain original. 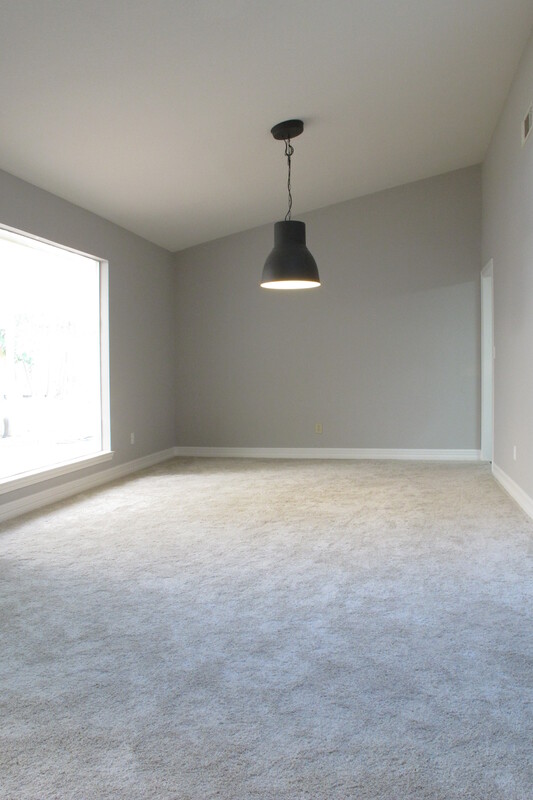 We’re planning on changing out the carpet in this room for wood floors before we move in, so stay tuned for that. And the view of the porch through the windows will also change, once we’ve gotten our hands on it. Joey’s already busting at the seams with eagerness to get started on that project. I’ll go over the plan once I get to the outdoor tour, though. Oh Christina! I just LOVE it! 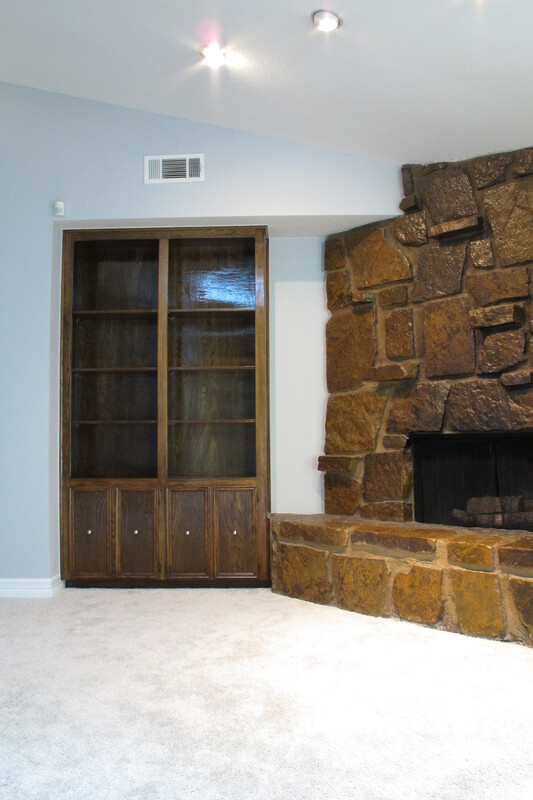 That fireplace is gorgeous! And the slate floors are beautiful! I can’t wait to see what you do with that laundry room and that ginormous kitchen!!! Thanks, Kristi!! I can’t wait to get in there and get busy!! Right??!! As soon as I saw them, I dubbed them “nose-cabinets” in my head! haha!! I love the window out of the dining room. Thanks so much! That’s one of my favorite parts!!! Can’t wait to see your transformations! !